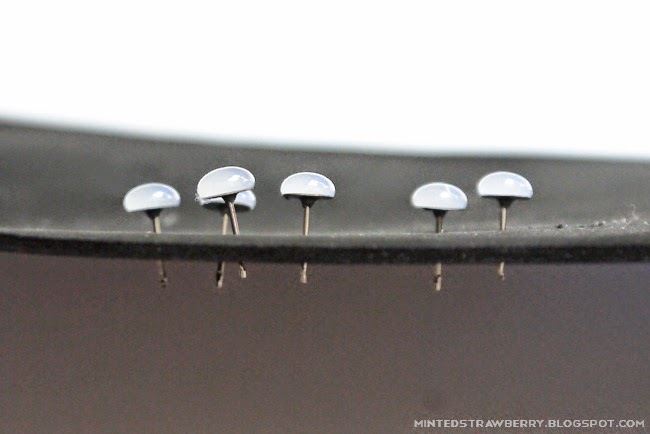 First of all, you may want to practice making enamel dots on another surface before doing this craft. I recommend using wax paper or even the backing of sticker paper or contact paper. 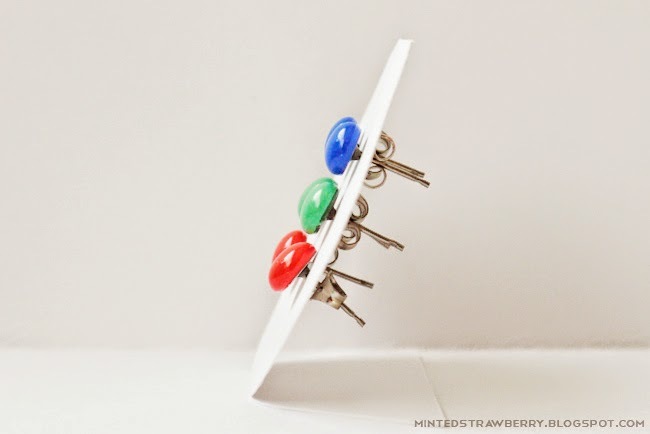 Stick your earring posts on a flat surface - I used a foam sheet to hold my earring posts in place. 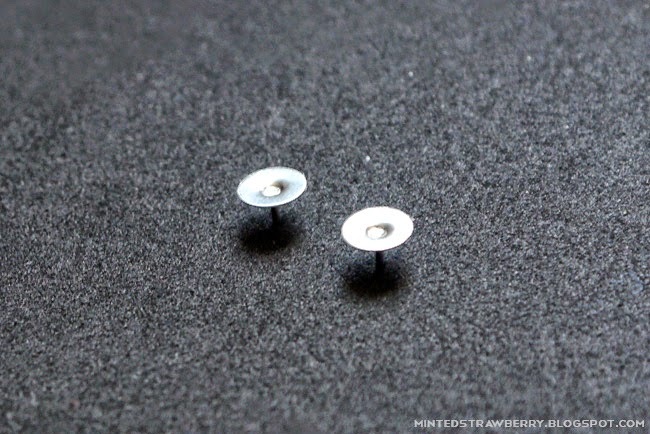 Now using the enamel dot tutorial, make an glue dot directly on the flat pad of the earring post. The size of your earring will vary on the size of your earring posts. 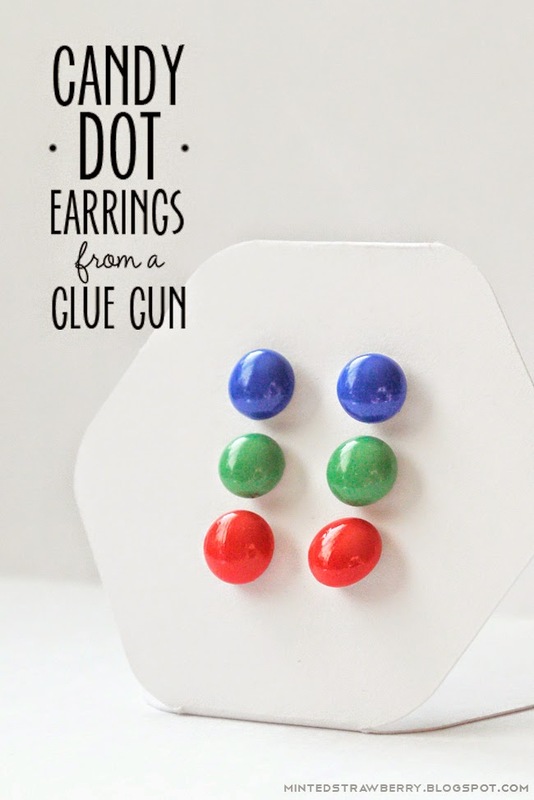 Ensure that your glue gun is at its hottest to get the perfect dots. 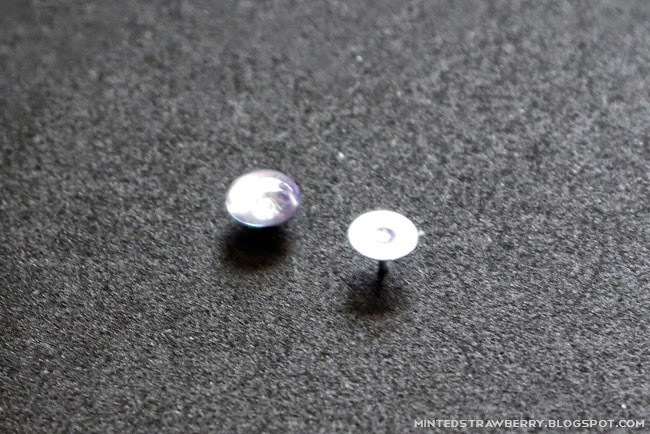 To get a perfect dot on a 6 mm earring post, squeeze your glue gun trigger (carefully) about 2/3 of the way on the center of the earring post and swirl it around until the glue string disappears onto the dot you made and let it dry. Too much glue and it will drip to the side like in the photo above - but don't worry, just pluck the earring post out, and scrape off the hot glue on a surface (like copy paper) and start over again. 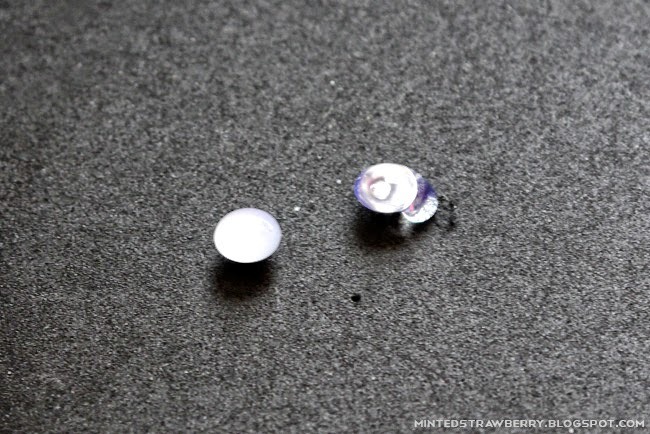 If the glue is already dry, just stick it onto the nozzle/barrel of the hot glue to melt it again. Wait until they're fully dry. 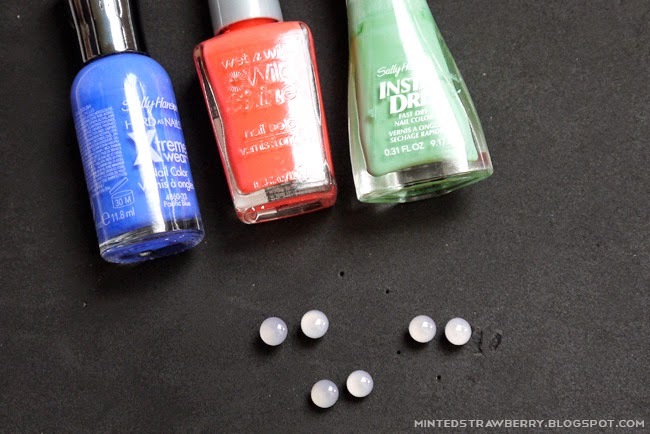 Choose your nail polish and paint them! I let mine dry by sticking them onto coffee stir sticks held by a thread skein. It's important that they stay upright! And that's it! You can also seal them with clear glaze for added durability. Aren't they pretty?! Btw - if you aren't subscribed to any of the social media linked to Minted Strawberry, you may have not heard, so I'll tell you here. I just opened a shop on Etsy! Visit it here or by clicking the 'Shop' button on the top of this page. 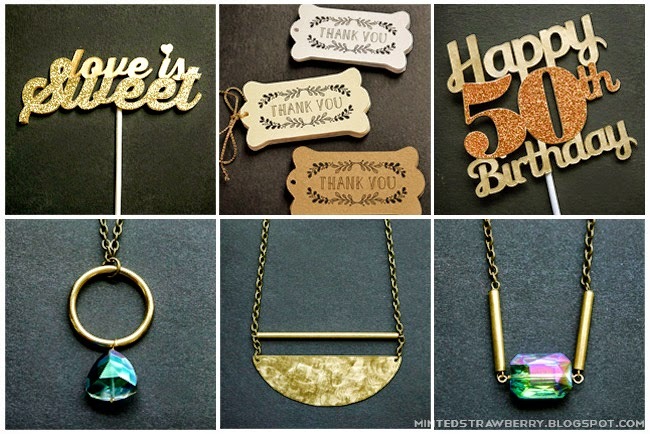 Currently the products are cake toppers, tags, cards and necklaces but I'm thinking of posting more items soon. It's totally experimental and I'm such a newbie at it so any advice (and support) would be awesome! Thank you guys. So there, I hope you loved this tutorial as much as I loved making it! Would you make this, in what color? Tell me in the comments and I hope you have a great week! Cool tutorial! Love how you created the beads right on the stud findings! Thanks Pearl! They were really easy once I got the hang of it. you are just so innovative with your jewelry making. love this project! OOOO that's a little bit clever! They look amazing, you must have practised and practised. 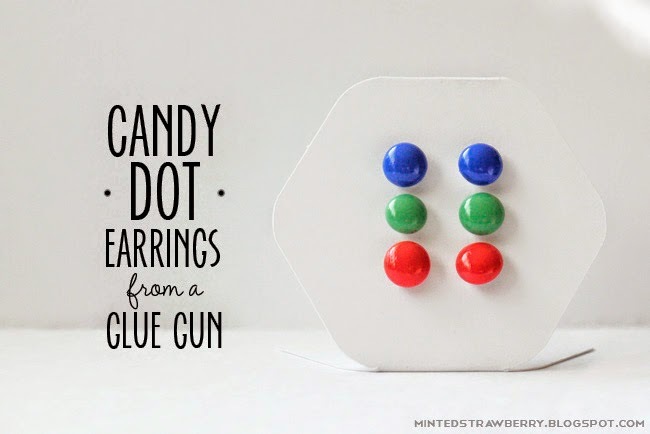 I am a bit of a calamity Jane when it comes to the glue gun but these are so cute I might risk my fingers and have a go. 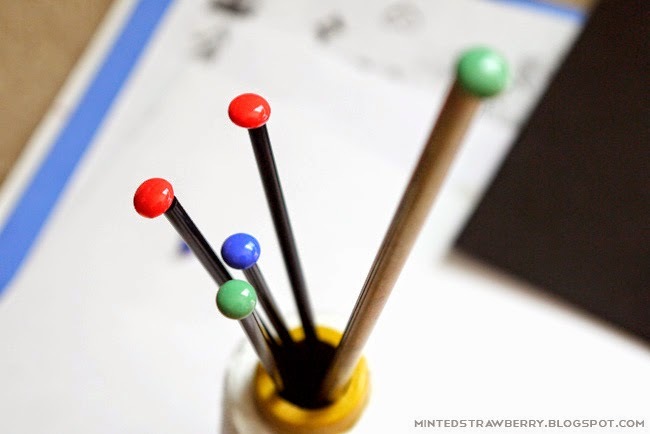 I want to check out your enamel dots tutorial too, to see what else you are thinking to use these for, my mind is already buzzing with possibilities!